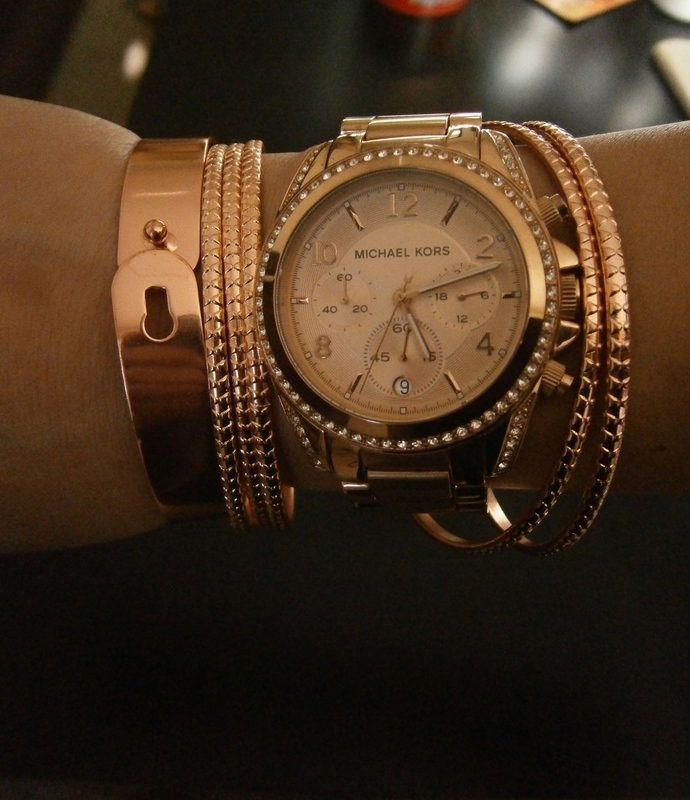 I may be the biggest fan of rose gold on earth……. My very first diamond ring was a black hills gold ring for my 15th birthday. 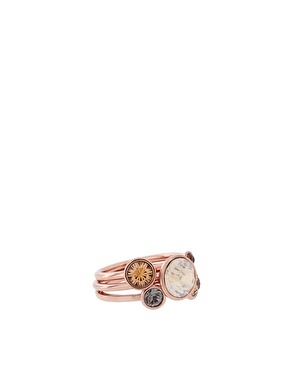 It was a yellow and rose gold setting with one teeny tiny diamond, I fell in love when I saw that ring. My mom opened up a can of worms with that one for sure. I have never stopped loving rose gold since that day. My wedding set is rose gold, so I’m committed for life. 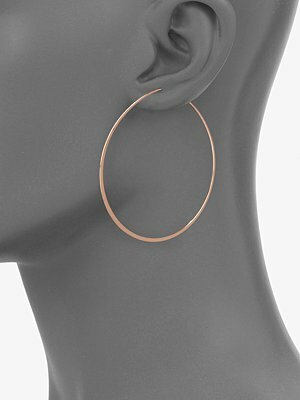 I have seen rose gold go in and out of style and it’s been back in style for a couple of years now and I am excited about it. I will be rocking the rose gold even if it goes “out” of style again, hopefully it doesn’t. Anyways enough about my obsession and onto the facts! 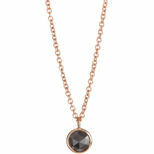 Whether it is costume or the real deal, every woman should own at least one rose gold accessory. 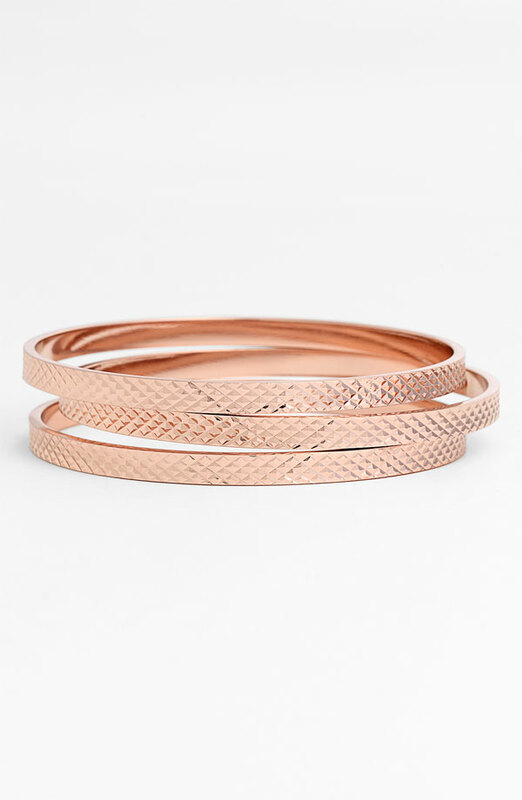 Rose gold is versatile, classic, feminine and modern. It goes with yellow and silver metals and looks great on all skin tones. Here are some beautiful styles to shop. 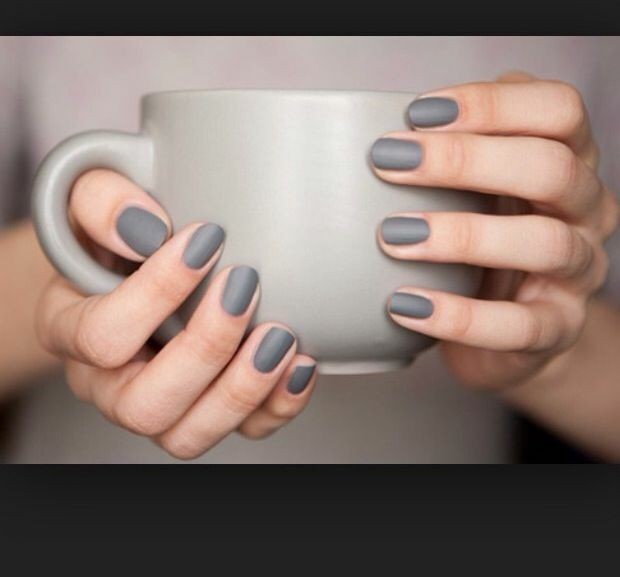 Starting with my Favorite…. 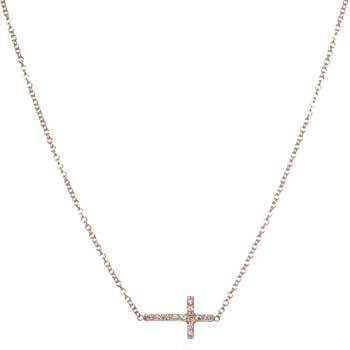 Zoe Chicco diamond and rose gold sideways set cross necklace($488) available at Zoe Chicco Available without diamonds as well. 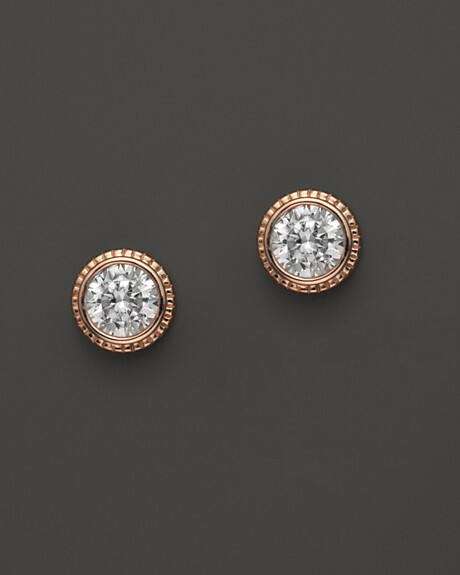 Diamond studs with rose gold detail($2,200) available at Bloomingdale’s. 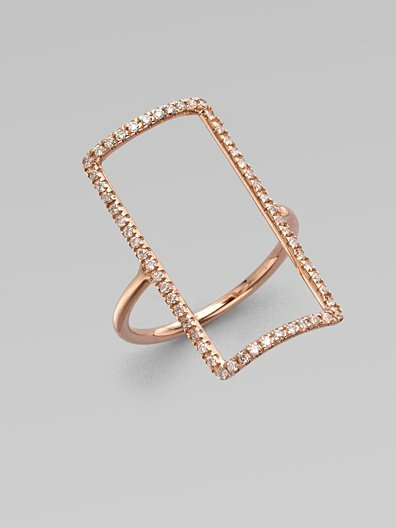 Rose gold tone hoop ($45) and square-shaped diamond accent ring($1,945) both available at Saks. Cluster gold tone ring($81.81) available at Asos. 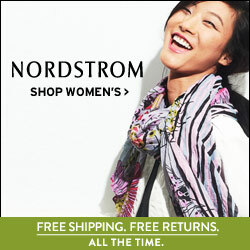 Watches ($250-$500) and textured rose gold tone bangle set($48) all available at Nordstrom. 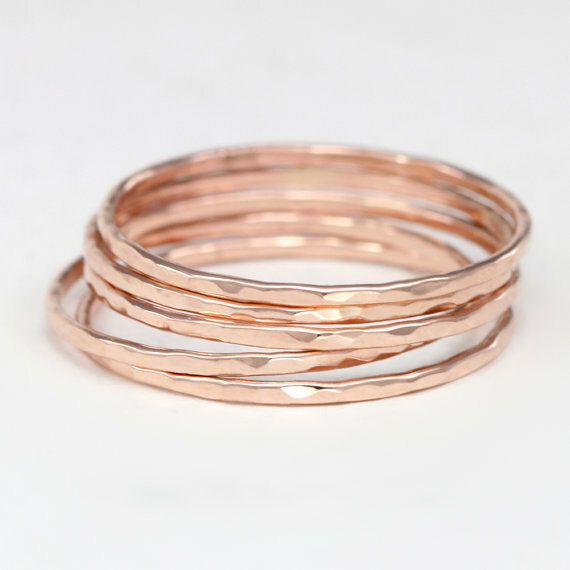 Set of five hammered stackable rose gold rings($329) available at Etsy,Scarlett jewelry. Cuff with pink quartz ($38) available at Etsy,Altana Marie. 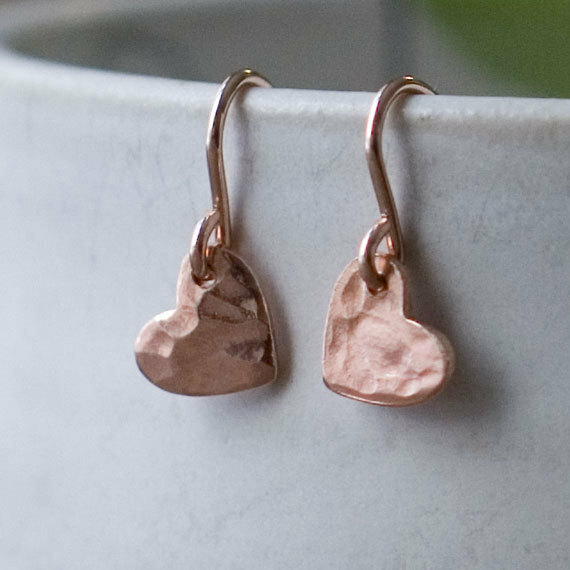 Heart earrings($24) available at Etsy,Burnish. My favorite rose gold pieces! 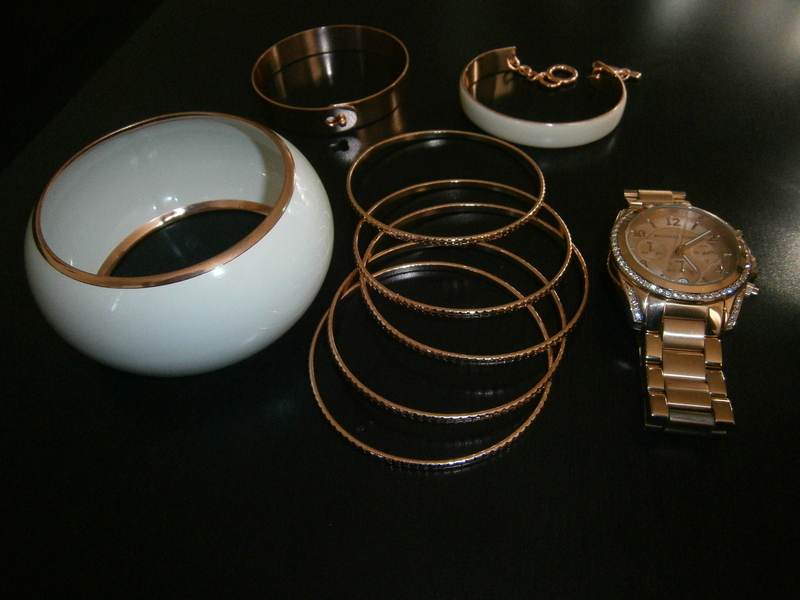 Large cream bangle with rose trim, rose metal bracelet and fitted cream cuff with rose toggle closure all available at H&M, Michael Kors watch available at Nordstrom and thin bangle set available at Aldo. I don’t recall exact prices but I do know the bracelets were ALL under $10 and they are in stores now. How I’m wearing my rose gold right now…. 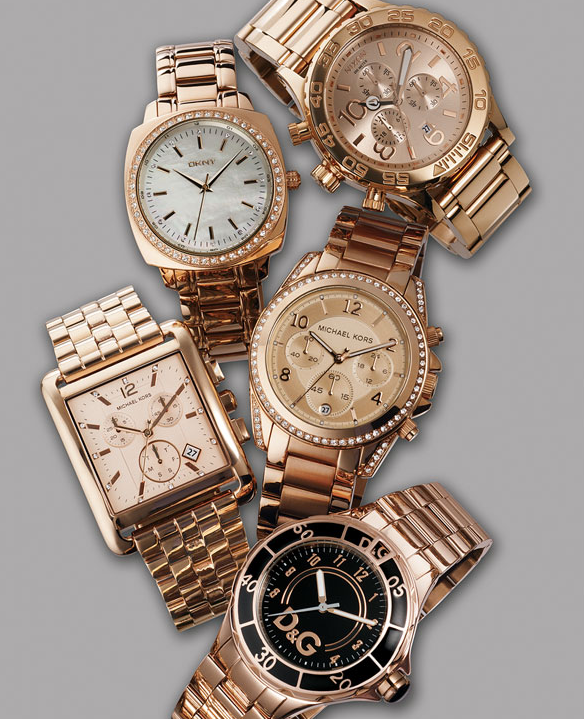 I am a ‘serial stacker’ like you – but I have yet to purchas a rose gold watch! Where did you get your bangles and cuff in that picture?! They’re gorgeous. At Scarlett jewelry on Etsy. There is a link if you scroll up in the description part of the post. They also sell individuals if you don’t want 5 rings.